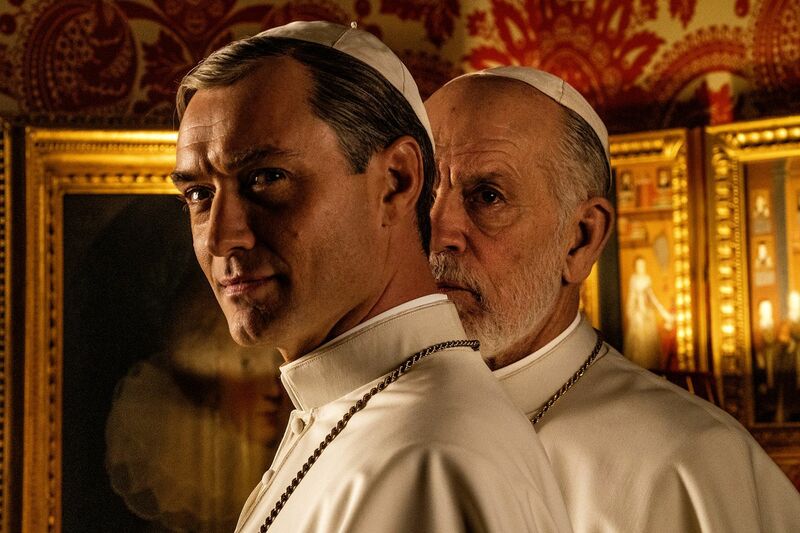 ‘The New Pope’: First Look Reveals Jude Law and John Malkovich in HBO’s Follow-Up!! Check It Out!! | Welcome to Moviz Ark! ‘The New Pope’: First Look Reveals Jude Law and John Malkovich in HBO’s Follow-Up!! Check It Out!! The Young Pope lives on! HBO has released the first image from the highly anticipated follow-up series The New Pope, which brings back Jude Law alongside newcomer John Malkovich. Law appears to be reprising his role as Pope Pius XIII from the 2017 series, but it’s unclear who Malkovich is playing. Paolo Sorrentino, who directed all 10 episodes of The Young Pope, returns to direct all eight episodes of The New Pope. Sorrentino wrote the new series alongside Umberto Contarello and Stefano Bises, and it’s described as a limited series set in the world of the modern papacy. Alongside Law and Malkovich, the cast also includes The Young Pope returning cast members Silvio Orlando, Javier Cámara, Cécile de France, Ludivine Sagnier, and Maurizio Lombardi. New cast members for The New Popoe are Henry Goodman, Ulrich Thomsen, Mark Ivanir, and Massimo Ghini. The New Pope is a co-production between Sky, HBO, and CANAL+, which means it’ll likely air in the UK and Europe before airing on HBO here in the states. For now, however, bask in the glory of the first New Pope image below. ← ‘Captain Marvel’: New Trailer Gives Another Explosive Look at the MCU Heroine!! Check It Out! !